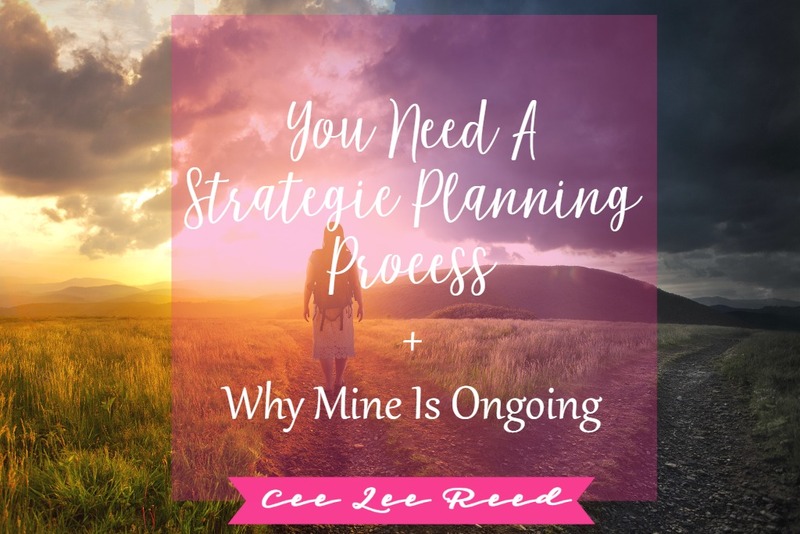 Unlike setting business goals where you dream up the success you want for your business as the end result, a strategic planning process will ensure that you meet those goals by preparing for and tracking the steps of achievement every day. 2. Deep dive into the questions “How can I take my business up a notch? Do I need to? Do I want to?“. You have to drill down on the steps necessary to move the needle which is why strategic planning is important. You also have to be sure that you want to grow your biz. If you are satisfied and don’t need to grow your biz any larger…don’t! 3. Knowledge of last year’s results. Know your numbers Lady Boss. Don’t waste one minute planning for the next quarter if you aren’t sure where you’re starting from. Organize metrics into your monthly routine and you’ll have a snapshot of your biz at moment’s notice. Aim for a 20% increase annually. It’s completely doable. 4. Post it notes, planners and paper (oh my!). No matter what method you prefer for planning, you’re going to need a lot of paper and writing utensils (Sharpies, pencils, highlighters). Something magical happens when you write out your tasks on paper; you’ll remember to do them! Seeing your action plan in front of you helps keep accountable. Once it’s written in a tangible place, schedule everything in your planner. DO NOT SKIP this step. Believe me, you won’t find time to interact in your Facebook group everyday if you don’t schedule it. FYI: I don’t take my own advice on this one because I randomly pop in/out of my group. I happen to love that flexibility. 5. Patience (your own and your family’s). Tell hubby that he’s in control for the next day or so. Hold up in your little pink office with the door closed. Expect that your strategic planning process will be, well, a process. Planning and preparing to build your business takes time. I find it fun to sneak off for the weekend to a local hotel where I have 48 uninterrupted hours. Can you say bliss? 6. Tons of coffee. Okay, this one’s just to lighten the mood a little. Attention all coffee drinkers! Start brewing your first cup before you sit down to plan. Coffee makes me feel warm and fuzzy and happy. Exactly the mindset I want to be in when driving the reins of my business. It’s also a great comforter when you’re still knee deep in post-it notes come midnight. Right now I am thrilled to be working with clients one-on-one, however I understand that eventually this type of service will cap my income. 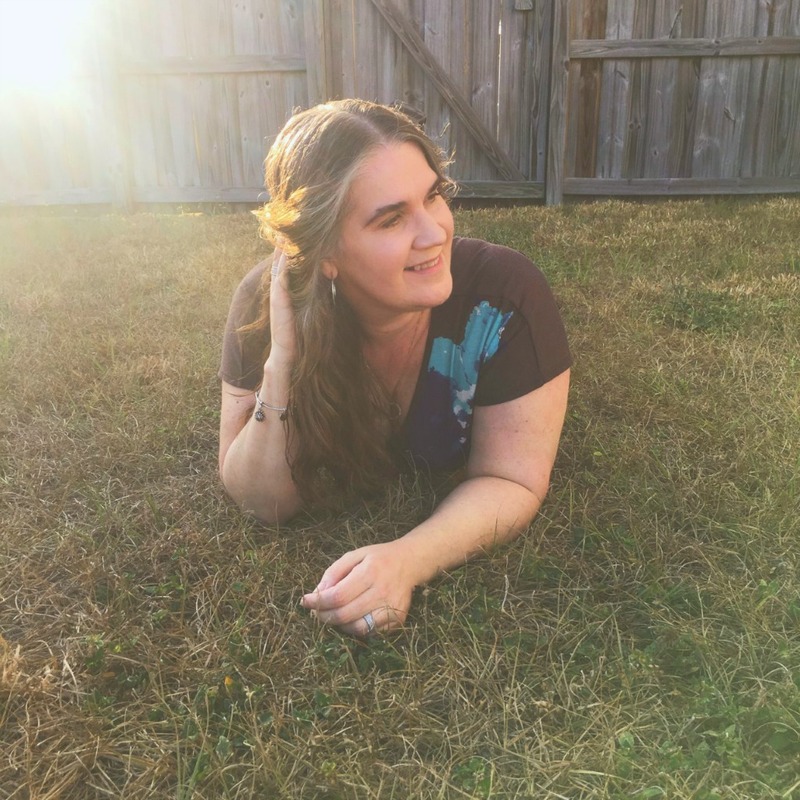 I’ll hit a limit where I simply can’t take on more (obviously, I’m not there yet; want to work with me?) and in order to grow my business, I’ll have to focus more on passive income and group services. I offer these now however they are not my main source of earnings. Be sure to change up and enhance your services during your strategic planning process so that you can continue to grow your business income. 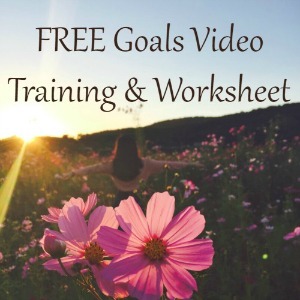 Even though you love to provide email coaching, make sure that it’s something your clients really want. No sales for the last quarter? Perhaps it’s time to eliminate this offer altogether. Or add it to a higher priced premium offer. You know me, I love quarterly planning and executing, so spend time every few months (or at least annually) making sure you offer what your readers need. Your email list is going to grow each day with an assortment of raving fans, so periodically checking their needs and requests, will help you stay on top. Business is cyclical and what is working today may not be in 6 months. The good news is that during your audit, you may find that one shining star requested by most of your readers. Use the Pareto Principle and focus your attention on promoting that package most of the time. I use this same idea when I’m on Facebook by promoting my signature programs the majority of the time. I figure that any potential clients will check out those links and if it’s not a fit for them at this time, they’ll dig around and find one of my other services to use. Can you imagine how hard it would be to constantly rotate promotion through all of your services? Time consuming. For some, the answer is to only have one package to offer. Whatever works best for your biz. Readers of your blog will inevitably contact you with questions they have. I suggest keeping all of these notes in an email folder (or physical one) to pull out during your strategic planning process. Business owners need to give their clients what they want or their clients will get it elsewhere. Use their questions to generate new paid packages and blog post content. During one of your strategic planning process days, you may have the realization that you met one of your goals. This is a great time to up the ante for that metric. If you’re not looking at your plan throughout the year, you’ll get to your deadline and realize that you could have blown it out of the water; instead of just reaching it. Goals set in January need to be adjusted if you’ve met them in April. Capiche? Owning a business that blogs requires steadfast determination to grow beyond your initial numbers. We’re not in this as a hobby. Creating a strategic planning process that guides you through the next four quarters is important. We cannot accomplish our goals if we do not have an action plan in place that states each necessary step. Spend time today working on yours. 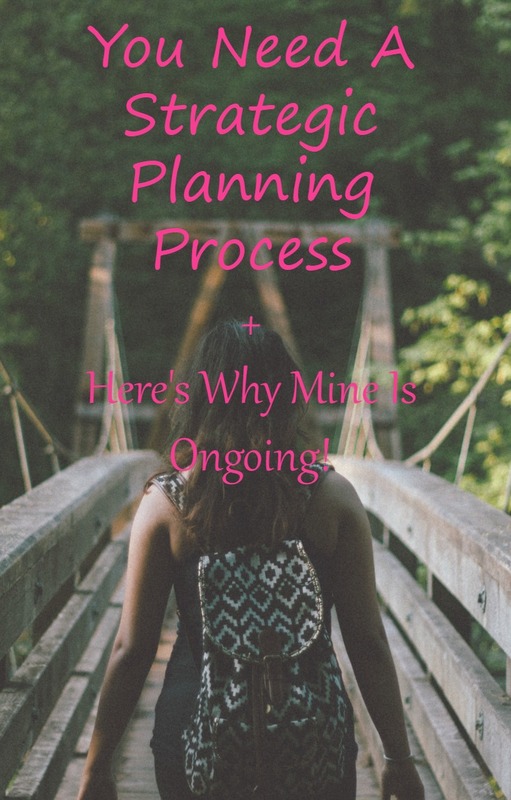 Do you have a plan in place to build your own blog? How long does your strategic planning process take you to complete? Tell me in the comments. PS: Does your strategic planning involve more income? Check out 22 Ways to increase your monthly cash flow with a blog + the moon.